$24.5 - Rompers are a hit for any casual day, and this design comes from T2 Love from their cruise line. 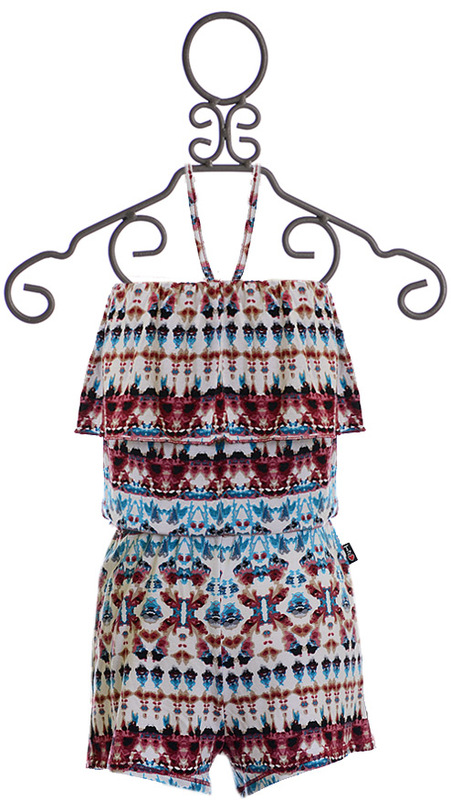 The romper has an inspired kaleidoscope tie dye print that blinds red tones with a bright island blue. The romper features a large ruffle overlay dressing the bodice and a thin halter strap that secures the fit. 95% Rayon and 5% Spandex. Hand Wash, Line Dry. Made in the U.S.A. SIZE 10 REMAIN.